If you’re a carer looking after a family member, you probably don’t get much respite from your duties, and although helping a loved one is highly rewarding, it’s also extremely demanding. A few days’ rest can do wonders for your energy levels and enthusiasm, and we can help with that. Knowing that you are able to escape for a break from time-to-time can be a great incentive to keep you going, especially when you are confident that the person you care for will be well looked after by a trained professional during your absence. You don’t necessarily need to have a long break to feel the benefit. Some of our clients find that short breaks at regular intervals work well, perhaps one afternoon or evening a week for some ‘me time’ is all you need. Or maybe you would enjoy a monthly visit to the theatre, or to a health spa booking for a pampering session? All you need to do is brief us on the details of the normal care regime you follow for your relative or friend. You can even have our Care Worker working alongside you for a day to introduce them to your loved one, and show them where the things they will need are kept. 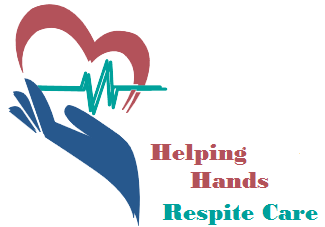 During your respite break we will then visit as scheduled, or stay in your home to provide live-in care as planned. It’s a much better solution than temporarily placing the person you care for in a care home, where they will be away from their familiar surroundings and possessions, and it may be more difficult for friends to visit them. Of course our involvement doesn’t mean that we’re taking over your role – it’s just a back-up service that will enable you to enjoy a well-earned, worry-free break.